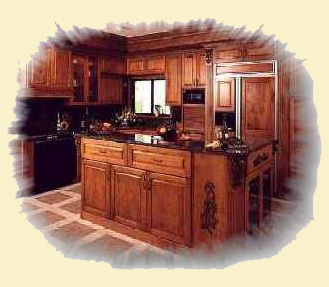 We will be glad to answer all questions, by email, regarding your kitchen remodeling project. This is a free service. The only thing we ask in return is that we can publish your question and our answer online so that it may help future visitors. We will not divulge any contact information in our postings. This is a forum for those who are considering a kitchen remodel, which is one of the most important projects one can attempt. There are critical things to look for when designing a kitchen. We will outline some of the things you should think about as well as show you questions asked by our readers and answers supplied by our experts. We have over 25 years of experience in luxury kitchen design. If you are looking for a kitchen designer, we suggest you contact the National Kitchen and Bath Association for referrals. You can search for accredited designers in your locale. Generally each kitchen will have dozens, or even more than a hundred components. If one component is wrong, the project will likely be put on hold. This is why we suggest using a professional. A professional designer can often offer money saving tips for designing your kitchen as well as the latest in innovative products. As you can see, our site is new, however our knowledge base is deep and skilled. We are here to offer you free assistance in selecting a designer, with design tips and product suggestions.